NovAtel Inc. has introduced its new VEXXIS series of GNSS antennas as well as two new inertial measurement unit (IMU) products for its SPAN technology portfolio. The VEXXIS series includes two lines of multi-constellation and multi-frequency antennas, the new GNSS-800 series and the GNSS-500 series, introduced earlier this year. As for the IMUs, SPAN tightly couples NovAtel’s GNSS precise positioning technology with inertial navigation systems (INS) to provide continuous 3D position, velocity, and attitude solutions. The compact Litef-μIMU-IC is now part of NovAtel’s IMU product line. The μIMU-IC is intended for aerial and hydrographic survey as well as space-constrained industrial applications and is available as a complete assembly in an environmentally sealed enclosure or as a standalone OEM product, both compatible with the company’s OEM6 and OEM7 SPAN receivers. NovAtel has also developed an enclosure for the popular Honeywell HG1900 IMU, which was previously available only as an OEM product. The IMU-HG1900 IMU offers a hybrid package of Honeywell’s Micro Electromechanical Systems (MEMs) gyros and RBA accelerometers. Shipments of the new IMU enclosures will be available in Q4 2016. The small form factor VEXXIS GNSS-800 employs a patented multi-point feeding network and radiation pattern optimization technology that provides a stable phase center and enhanced multipath rejection, according to the company. The antennas also support low elevation satellite tracking while achieving high peak zenith gain, enabling the antenna to track the maximum number of satellites in any environment for an enhanced positioning solution, NovAtel says. The VEXXIS GNSS-500 series of antennas were designed with a low profile, aerodynamic enclosure, making it appropriate for ground vehicles in applications such as agriculture, machine control and mobile mapping. 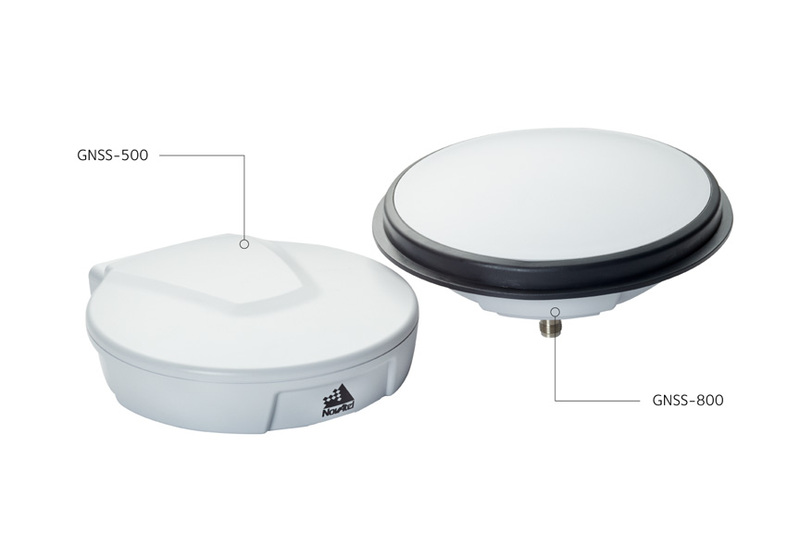 Featuring the same multi-point feeding network as the GNSS-800 family, GNSS-500 antennas offer similar multipath rejection and stable phase center, according to the company. VEXXIS GNSS-500 antennas are available for immediate ordering. GNSS-800 antennas will be available in Q4 of 2016.